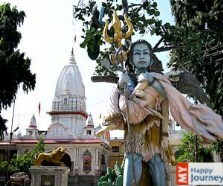 The supreme Goddess of universe, Kali is usually represented in her ferocious form and as the demolisher of the demons, but is worshipped all over the world. 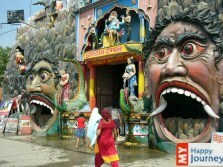 People worship goddess kali for sustenance and liberation, because of which she is named Mother of Destruction. 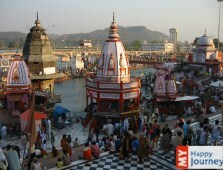 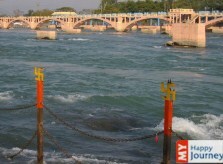 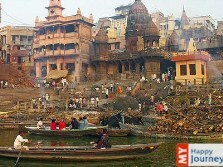 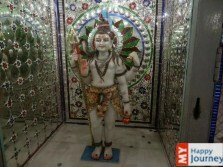 Haridwar embodies a beautiful shrine of Mata Kali, renowned as Kamraj- ki-kali Temple. 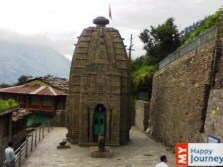 Lying in close proximity to Gaurishankar Mahadev Temple, this ancient shrine can be reached via Mata Chandi Devi Temple route that is one of the best ways to commute to the temple. 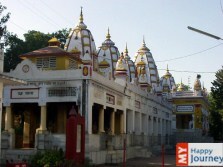 For those who are more inclined to adventure activities, they can trek down the hills of Haridwar to reach the temple and add thrill to their journey. 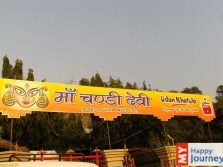 However, positioned on the Haridwar-Rishikesh highway, one can easily reach here via local bus or taxi, which is around a 7km ride from the main rail head. 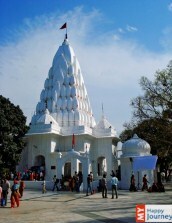 You can see huge influx of tourists from all around the world, who come here to offer prayers and thank the goddess kali.